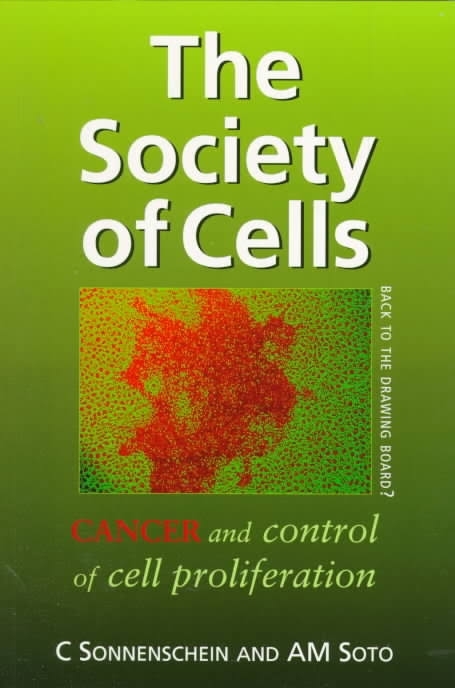 About 25 years ago, I was lucky enough to read in proof copy a book by the cancer biologists Anna Soto and Carlos Sonnenschein called The Society of Cells. In this book, the authors outlined a theory of carcinogenesis (Tissue Organisation Field Theory - TOFT) that was antithetical to the very commonly adopted theory of carcinogenesis known as the Somatic Mutation Theory. As a neutral (and ignorant) non-biologist it looked to me that the evidence that Sonnenschein and Soto presented supported their theory and that it had some features that made it more attractive than the then dominant one. Every now and then I try and find out what happened to TOFT and how it is faring against the Somatic Mutation Theory. One of the things that strikes me is that in a field as hellishly complex as cancer biology it is highly unlikely that a full understanding will emerge quickly. If we take as a yardstick the development of physics, from the publication of Newton's Principia in 1687 to the recent and outstanding example of a theory led observational study such as LIGO (Laser Interferometer Gravitational-Wave Observatory), we see 350 years of development of a science by a huge number of incredibly clever people. I assume that we might reasonably expect a full elucidation of cancer to take at least as long. This estimate is a balance of two factors. We would expect that understanding cancer should be quicker due to the application of modern measurement and computing technology. But we should also expect it to be slower because biology does not enjoy the incomparable advantage that physics has of being built on a small number of mathematically tractable and universal laws. Cell has celebrated the powers of reductionist molecular biology and its major successes for four decades. Those who have participated in cancer research during this period have witnessed wild fluctuations from times where endless inexplicable phenomenology reigned supreme to periods of reductionist triumphalism and, in recent years, to a move back to confronting the endless complexity of this disease. The data that we now generate overwhelm our abilities of interpretation, and the attempts of the new discipline of ‘‘systems biology’’ to address this shortfall have to date produced few insights into cancer biology beyond those revealed by simple, home-grown intuition. The coupling between observational data and biological insight is frayed if not broken. We lack the conceptual paradigms and computational strategies for dealing with this complexity. And equally painful, we don’t know how to integrate individual data sets, such as those deriving from cancer genome analyses, with other, equally important data sets, such as proteomics. This is most frustrating, since it is becoming increasingly apparent that a precise and truly useful understanding of the behavior of individual cancer cells and the tumors that they form will only come once we are able to integrate and then distill these data. For what it is worth, and I freely admit it is worth next to nothing, my money is on Soto and Sonnenschein's Tissue Organisation Field Theory of carcinogenesis - if only because they begin their explanation of cancer with the complexity of real tissues, rather than with an extreme form of probably misplaced reductionism.